I'm not going to beat about the bush - it's less than 3 months to Christmas. There, I said it. Nevertheless, it's that time again for my playlist of tunes that I've been jamming to over the month of September. The songs in this playlist are actually attached to some great memories I've had over this short month, so I always delight in listening to them on repeat. Included is a few new dance songs that I've had the pleasure of becoming acquainted with thanks to Spotify's recommendations. There's also some old favourites, a few new ones from Chris Lane and lots more. Take a look at the tracklist and embedded Spotify playlist below to take a listen for yourself - you never know, you might find your new favourite artist. 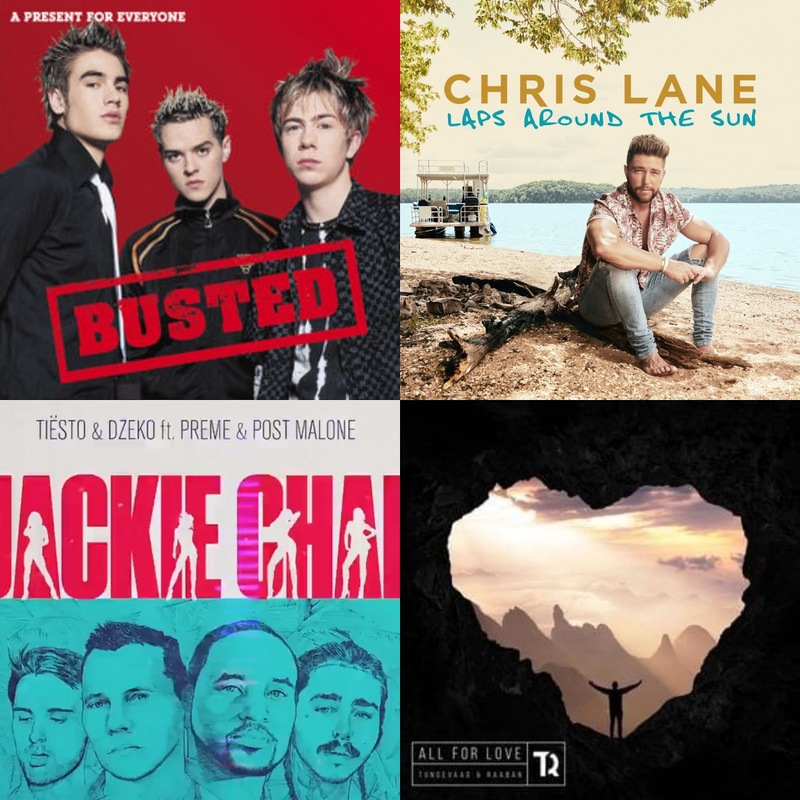 Busted album cover courtesy of Universal Island Records [Source], Chris Lane album cover courtesy of Big Loud Records [Source], Post Malone album cover courtesy of Republic Records [Source], Tungevaag & Raaban album cover courtesy of Sony Music [Source]. I haven't listened to Busted in so long! Ah Busted, I forgot how much I used to love them!